Sitting on the River Elbe in the East of Germany between Berlin and Prague. 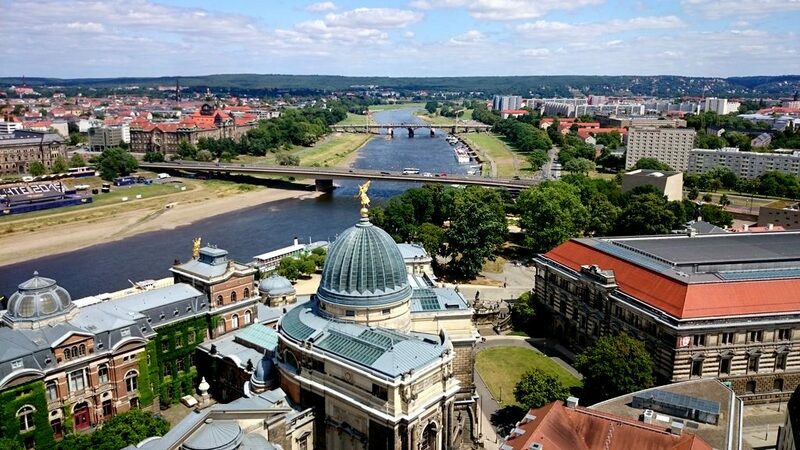 Dresden makes a great place to visit as part of a multi-destination itinerary or as a stand-alone trip. At first glance, a city rich in history and museums brimming with ancient artefacts might not seem like Dresden is for kids. 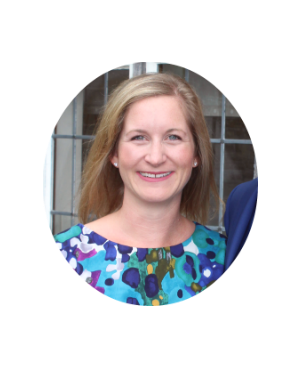 But children are very well catered for in this compact, easy to navigate city and locals must agree as Dresden has one of the highest birth rates in Germany. There are plenty of things to do in Dresden with kids. I’ve lived in Dresden, Germany for 3 years now. We love family life here, there are so many things for kids in Dresden to do. Over the next month, I will be creating a series of posts about Dresden so sign up to my email list to be notified of new posts. My kids love to climb towers. If your kids fall into this group too or just need to get some wiggles out then be sure to climb the Frauenkirche (Church of Our Lady). The Frauenkirche is one of the most prominent landmarks in Dresden. It’s 91 m structure towers over the Neumarkt (New Market) square, not to be confused with the Neustadt (New City) which is North across the river. On the north-eastern side of the building, you will find the entrance to climb the dome. There is a fee for entry. For the most part, it is an easy and gradual climb, an elevator takes you the first third, stairs and a gradual spiral ramp the next. Smaller children may need some help for the last part of the ascent. A short steep set of stairs followed by a spiral staircase. Once at the top take your time to enjoy the views down the river and the Altstadt (Old Town). The Royal Palace and the Dresden Academy of Fine Arts with its distinctive “lemon squeezer” glass dome are easily spotted. If climbing towers are not on your bucket list then head inside the Frauenkirche on the ground floor to view the dome from below. Entrance is free, except during concerts. The nave of the church has been decorated in its original pastel style using wedding photos to provide historical accuracy after the building was badly damaged during the 1945 Dresden bombing. If climbing towers is not on your bucket list then head inside the Frauenkirche on the ground floor to view the dome from below. Entrance is free, except during concerts. The nave of the church has been decorated in its original pastel style using wedding photos to provide historical accuracy after the building was badly damaged during the 1945 Dresden bombing. The Zwinger was built by King Augustus the Strong to hold elaborate summer parties. Museums are housed now in the outer walls, the Gemäldegalerie Alte Meister (Old Masters Gallery) the most notable, many will recognise the two cherubs from Raphael’s Sistine Madonna, which hangs here. The Zwinger with its large internal courtyard is an elaborate space in the city centre. Stand on the northeastern stairs to get a good view while you send your kids to take a lap around the fountain. At the southeastern end the Zwinger Carillon, a clock with a cascade of bells made from Meissen porcelain, plays a melody every 15 minutes. Other museums in the Zwinger include the Porzellansammlung (Porcelain Collection) and the Mathematisch-Physikalischer Salon (Mathematics Museum), both are lovely compact museums but are not orientated towards children. The new Kulturpalast is home to the Dresden Philharmonia and the ZentralBibliothek (City Library). On the second floor you will find the children’s library, currently, there is only a small section of English books for children but they have a large section of German lift the flap books which pre-readers children will enjoy looking at regardless of the language. Facing towards the Old Town Square Altmarkt there is a small terraced reading area with cushions to sit and read in comfort. You will also find two video game consoles that can be played, ask the librarian. Most of the staff speak English. 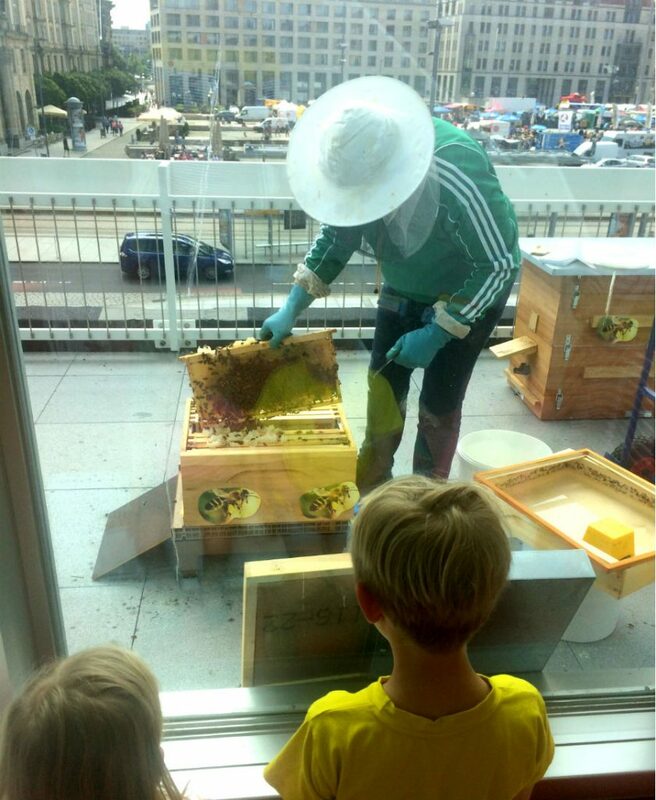 If you are lucky you might catch the bee-keeper collecting honey from the city bees which are kept on the balcony. What an unexpected thing to do in Dresden with kids at a city library. The Grosse Garten (Great Garden) is a large park within the city of Dresden. The vast majority of the space is made up of flat grassy fields with a grid of paths suitable for walking, biking and rollerblading. In the Centre of the park, there is a baroque palace which opens only for exhibitions and guided tours. 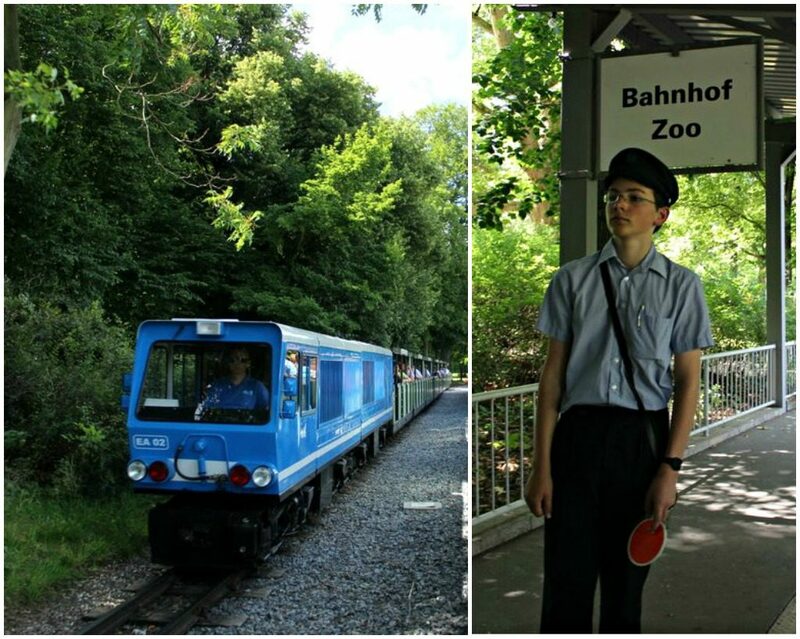 The Dresden Park Railway (Dresdner Parkeisenbahn) loops through the park along a 5.6 km track. There are 5 stations with the main station at the north-eastern end not far from the large glass-clad Volkswagen Glasernemanufaktur (VW factory). The train also stops at a station near the Dresden Zoo. The railway is staffed by local school children, these young conductors are smartly dressed in uniform and run a smooth and efficient operation as you would expect from any German rail company. There are covered and open carriages. As the train pulls out of the station the curves of the tracks allow a good view up to the Engine and the whistle gets plenty of action as it is sounded each time it crosses a footpath, pedestrians often stop and wave to passengers. 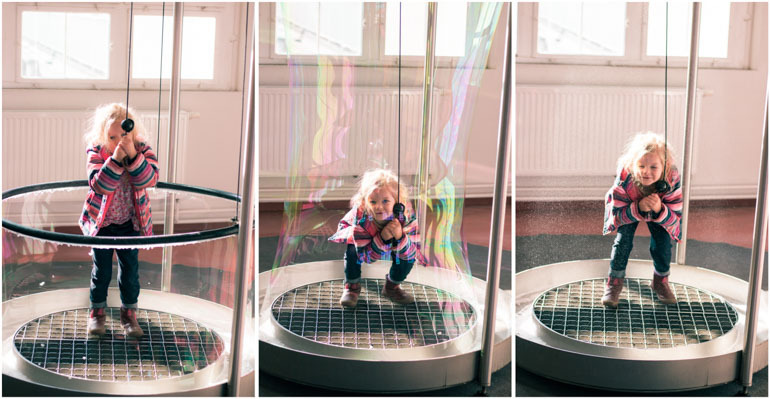 This is one of our favourite things to do in Dresden for kids. The Technische Sammlungen (Technical collections Dresden) is located a few kilometers from the city centre. The museum is located at the “Pohlandplatz (Technische Sammlungen)” tram stop on tram line 4, 10 and bus check for changes here. The museum focuses on science, mathematics and physics is housed in a distinctive building with a large brick tower, currently under renovation the tower gives good views over the surrounding area. Has over 100 hundred hands on activities for children to introduce them to the concepts of maths and physics through sound, movement and play. 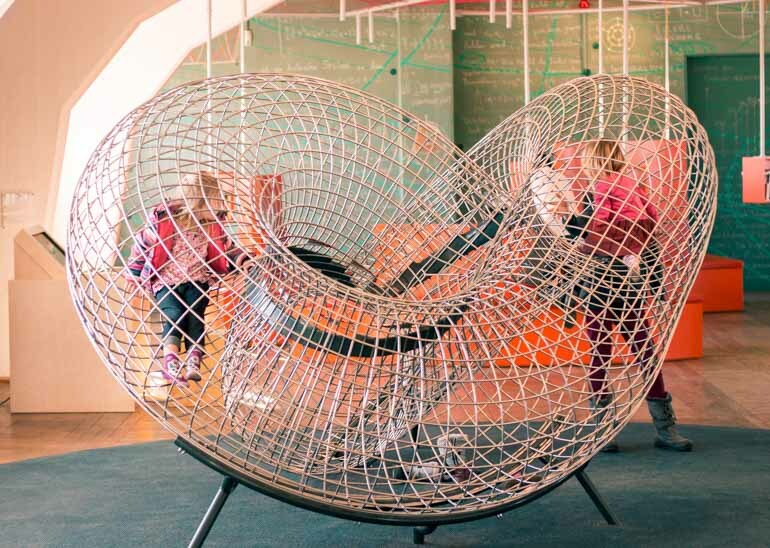 Within this area is also the adventureland for small children, a safe area for babies, toddlers and children up to 8 to explore matching, symmetry, patterns and gravity through rolling balls. This darkened area explores optics and sound through more hands on experiments and computer simulations. With the installations aimed more at older kids there is a secret tunnel to explore for younger ones. The traditional exhibitions are not as captivating so skips those areas and focus on the interactive elements. The museum is free to all visitors after midday on Friday. Dresden Zoo is easily reached from the city centre. 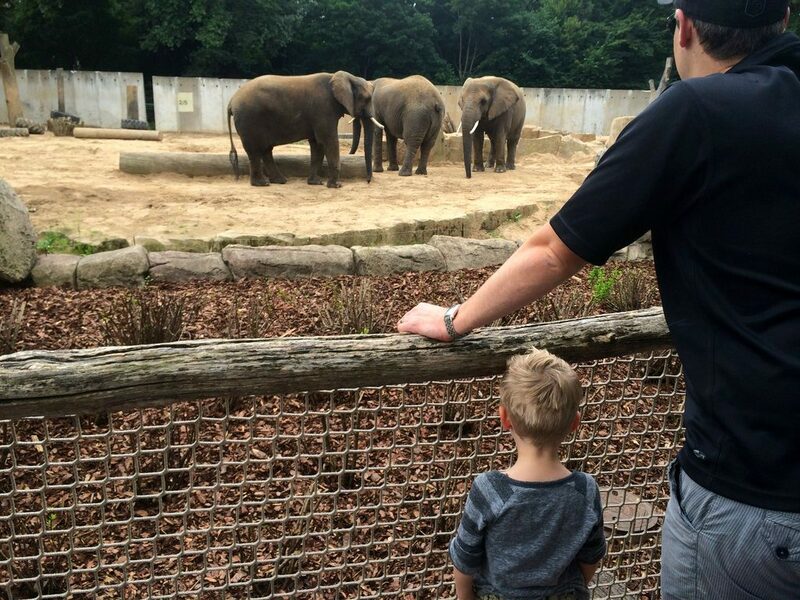 The zoo has a good number of small, large and exotic animals. Its compact size makes it easy to navigate with children. Half a day is all that is needed. There are a number of play areas for children of all ages. Check the events for the day to catch feeding times and puppet shows. The park is easily reached by tram, car, foot or bike. It is also one of the stops on the Dresden Park Railway. Not far from the City Centre is the German Hygiene Museum (Deutsche Hygiene Museum). The main exhibition in this museum is an interactive exploration of the human body. Captivating and educational displays allow a hands-on look into the many processes that make up a life. Museum entrance also includes entry into the Children’s Museum (Kinder Museum), (currently closed for renovation) found in the basement. Here children can interact with the displays that focus around the 5 senses. 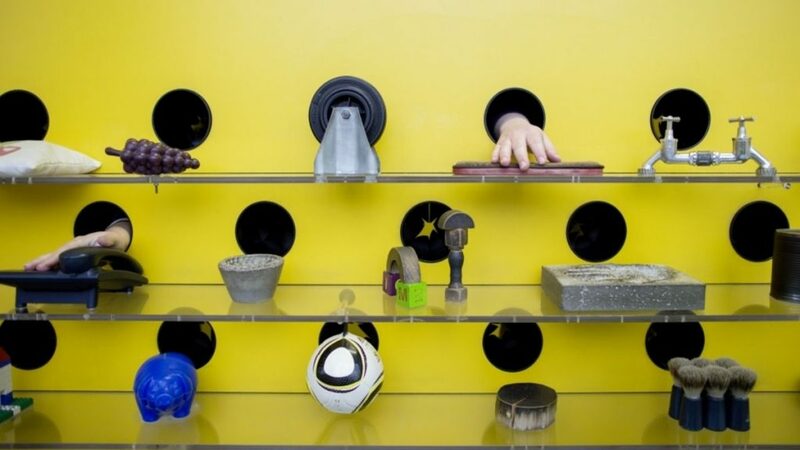 The small museum includes a sensory tunnel, a room of mirrors and a dark room where touch can be used to identify objects. 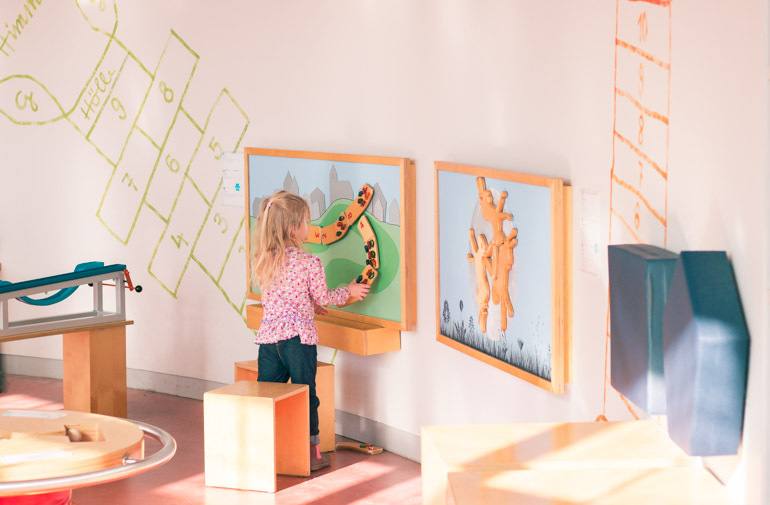 There are sound and scent stations where children try to guess the hidden objects plus many more interactive and educational displays suitable for a wide age range. The Turkish Chamber (Türckische Cammer) and New Hall of Giants (Der Neue Riesensaal) are museums held within the Royal Palace complex. While the more famous Historic Green Vault (Historisches Grünes Gewölbe) within the same buildings attracts the most visitors, and requires a ticket for timed entry, the Turkish Chamber and New Hall of Giants will have the most appeal to children. In the Turkish Chamber, you will find one of the best collections of Ottoman artefacts outside of Turkey. Most were acquired as diplomatic gifts rather than conquests of war. Silk and gilded leather tents with their marquee like shape reach to the ceiling. 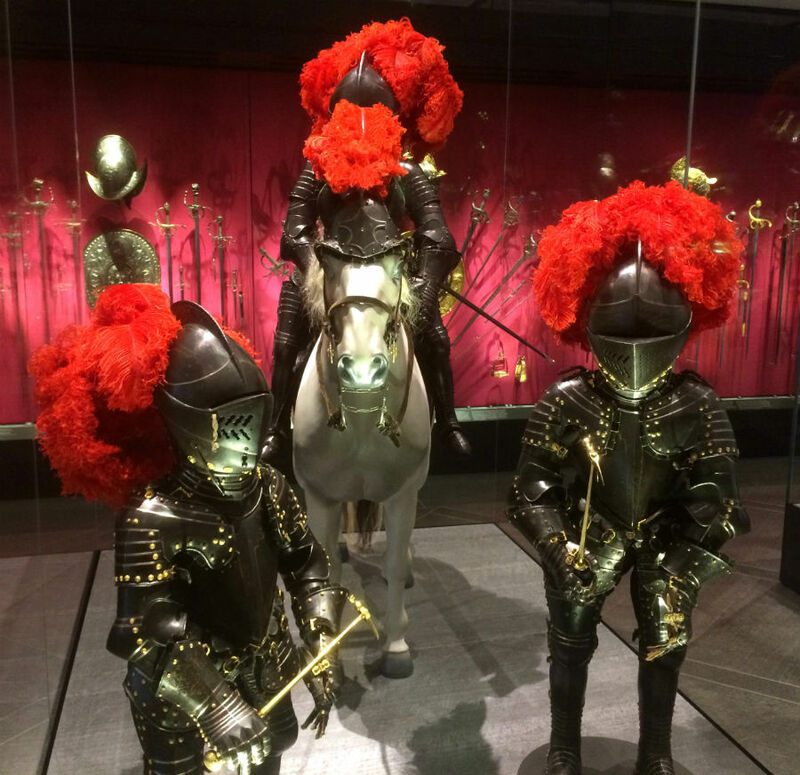 Horses dressed in heavy armour gilded with precious metals and glittering gems take centre stage. An abundance of Ottoman weaponry, rifles and swords, more decorative than functional, adorn the outer walls within glass cabinets. The New Hall of Giants, named for the paintings of giants on its original walls as well as its great proportions, holds an impressive jousting exhibition. Suits of armour, jousts and horses decorated with ornamental cloth and iron shields are found here. Items on display were mostly used during jousting tournaments and ceremonial occasions rather than on the battle field. Look out for the tiny child size suit of armour here. 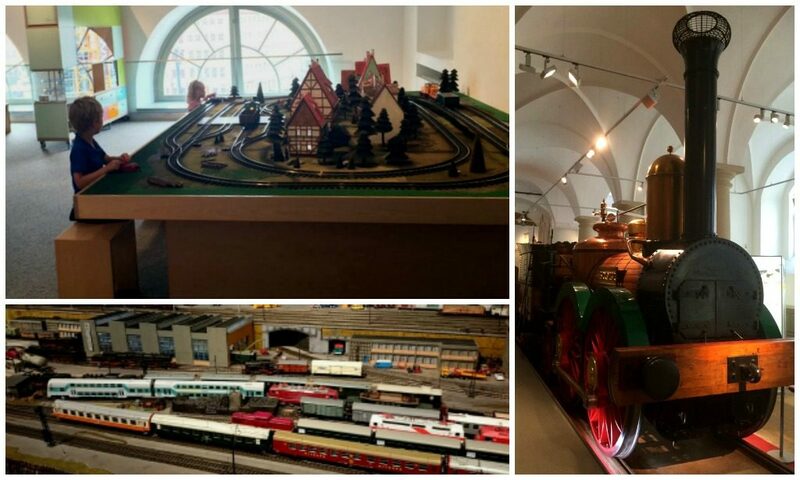 The Transport Museum (Verkehrsmuseum) is located in the city centre near the Frauenkirche. The building backs onto the Dresden Stables, which is also home to the Medieval Christmas Market in December. The Museum is spread over 3 floors with the top floor exclusively designed for the enjoyment of children. Here children can ride Bobby Cars on miniature roads with street signs, crossing barriers and working traffic lights. High visibility vests and a licence application office make a great setting for elaborate roll play. Tables and chairs, as well as large bean bags, provide comfort for parents. With only one entry, which is usually monitored by a staff member, little escape artists are easier to contain. Connecting to this area there is another room that houses 2 train tracks. Children can operate the miniature trains or sit and colour with provided paper and crayons. A raised platform provides an area for reading books and playing with construction toys. Also on the 3rd floor is the miniature railway display, an impressive number of trains run on tracks spread over 325 sqm. The trains run periodically throughout the week you can check the timetable here. The second floor is home to the Nautical display. As well as the usual models and multimedia displays there is a simulation where children can virtually design and sail their own boat. This programme is only displayed in German but visual prompts make it easy to navigate for the foreign visitor. Also on the second floor is an aviation section. Physics of flight displays will interest school age children. The Ground level is home to the Railway exhibition where budding train drivers can go inside some of the steam engines on display. 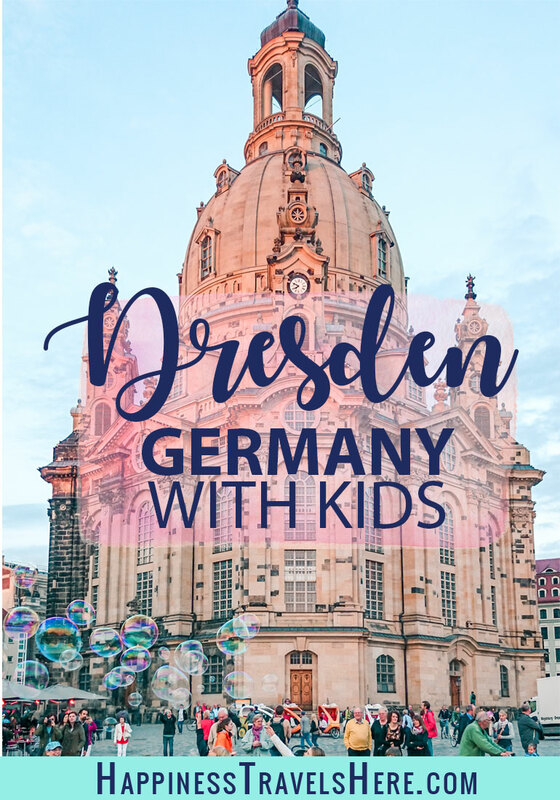 I hope you enjoyed this post on things to do in Dresden with kids. It really is a remarkable city with so much to offer for family travellers. Buntewelt is a temporary toy exhibition and indoor play room that started in summer 2016. It was so popular with local families that they have managed to stay open by changing location as a space comes available. 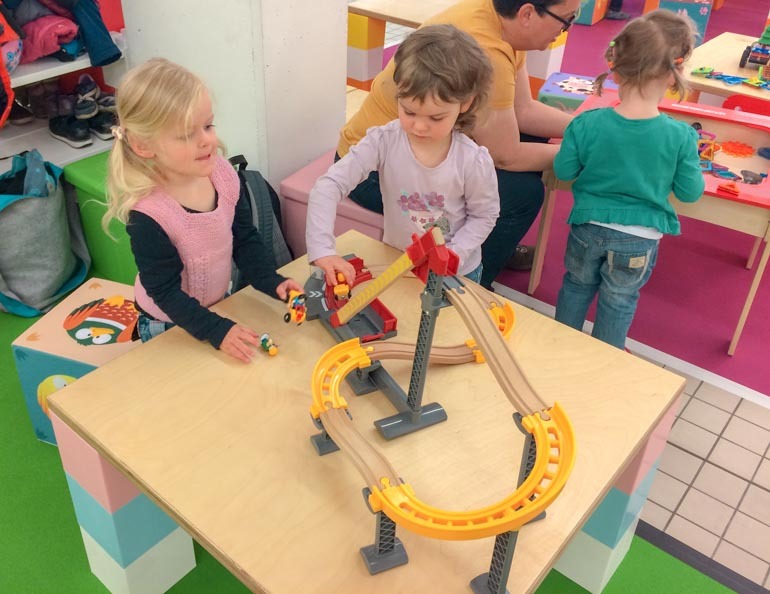 Previously in the Markthalle in Dresden Neustadt the room of games and toys suitable for all ages is now in premises at Werner-Hartmann-Strasse 3, 01099 Dresden. It will move again in April 2018, check the website for the new location. Saver tickets are available by booking online in advance. Toys for the children to play with include a soft play area for little ones with blocks, wooden trains and Duplo. An extensive collection of Playmobil, various construction toys and electronics including robotics and race tracks. The website is only in German but there has always been an English speaking attendant, friendly and ready to assist with advice on how to use the toys or play the games. If you found this article helpful please leave a comment and share with your friends and family. Want some more activities around Dresden? head to my post on Moritzburg castle and hiking the Rock Town. Kaylie, what a lovely description of Dresden’s fun spots to visits with children. Frauenkirche is still on my list. Do you plan to add Technische Sammlungen to the list? I think it’s a pity to miss the “Erlebnis Mathematik”. It’s such an interactive and fun pace for kids of different ages, and adults as well 🙂 It’s definitely our favorite place in Dresden to visit again and again. I would love to add Technische Sammlungen but haven’t visited for over a year so feel a bit out of date as I hear they have some new exhibits, maybe you can give me an update and I can include it. We’ve been only to Berlin and loved it, and it made us want to see more of Germany. We will have to put Dresden on the list! Never knew there was so much interesting stuff to see and do there. My kids would love the transport museum. I love that the railway is staffed by school children! How fun! I haven’t read much about Dresden and it’s so nice to learn more about this city. Great ideas, I’d want to do many of them as an adult. Thanks so much for sharing! It looks lovely! I haven’t been to Germany in soooo long. Being an expat there is probably pretty awesome! Have fun, it’s looking like it will be an inside day. Great collection of activities, perfect for kids! Thanks Kaylie! Thanks Einat, I hope you get time to enjoy some of them soon. Thanks a lot, means a lot to me coming from someone that knows the area. This post may contain compensated links. Learn more here. I’m Kaylie. A parent, a traveller, a doctor. I love sharing my travels with other people and helping them plan their own trips so now here I am sharing my best travel advice all in one place for anyone to access. 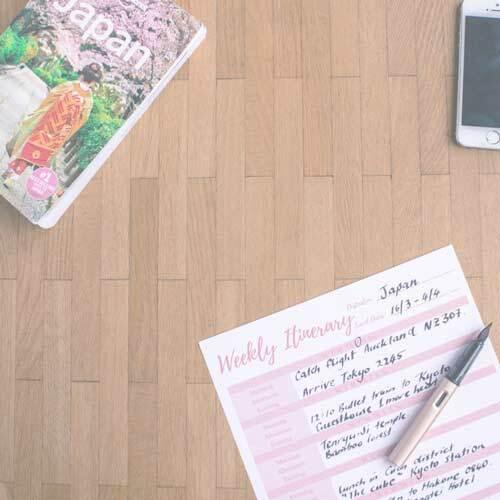 Get my Newsletter and a free travel planner download.